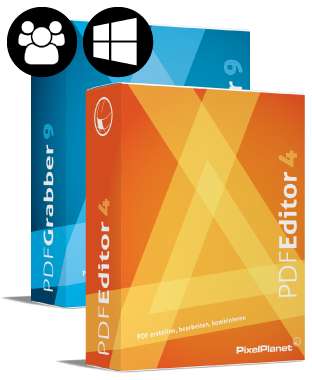 The PdfTools-Bundle offer contains PdfEditor, PdfGrabber, PdfPrinter and PdfMerger – all as Professional version! 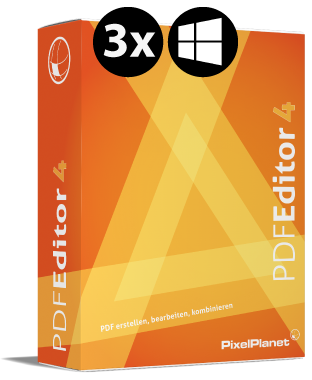 PixelPlanet has been developing software since 1996. 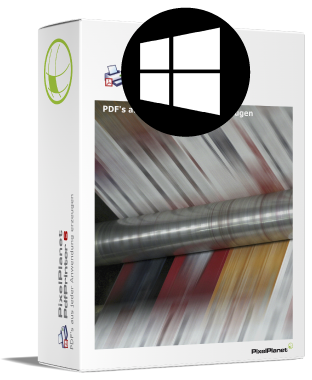 Based in Germany, the company specialises in solutions for the PDF file format. 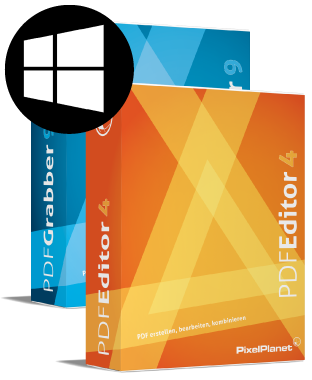 We design PDF tools for Windows (and some for Mac too). You may well have heard of PdfGrabber, PdfEditor and PdfCrypter. 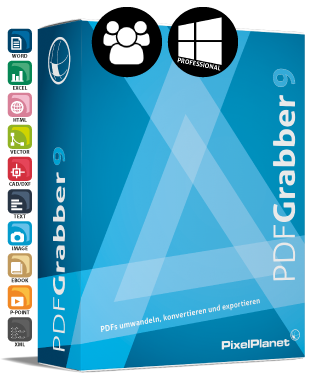 Major global companies that use PixelPlanet products include BMW, Boeing, Cisco, ESPN, HP, Microsoft, Nike, Panasonic, Porsche, United Defense and UPS to name but a few. Just to prove you are a human, please solve the equation: 23 - 4 = ? 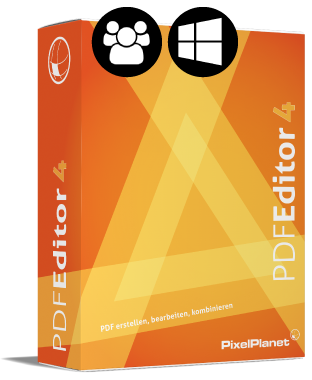 Software is delivered as download (ESD). License codes will be send after payment confirmation by e-mail. * Prices include VAT for certain regions. Invoices are issued in EURO (€).